This week, my colleague Charlie Clark told the story of the Romney transition that wasn't. The 2012 Republican contender's campaign, the first to operate under a 2010 law designed to smooth the presidential transition process by facilitating advance planning, had a remarkably robust operation. By late summer 2012, some 500 people were working on Romney transition plans, preparing a 200-day agenda for the start of the admininstration and a budget plan, among other things. But the staff, under the leadership of former Utah Gov. Mike Leavitt, never got the opportunity to put their plans into operation. So they did the next-best thing: They compiled the story of the transition project into a lessons-learned book. It's an impressive volume, laying out in great detail the procedures and policies the team had in place to hit the ground running after the election. I was struck, however, by one page in the appendix, showing the operation's organizational chart. It lists various units of the transtion team and the projected number of employees they would need. The Policy Development shop, for example, is projected at 243 employees. Presidential Appointments was slated for 135 employees, and Legislative Affairs was pegged at 76. Then there's the staff under the category Management Agenda: 16 employees. That, of course, is hardly surprising. Most presidents pay proportionately less attention to management issues than to policies and political appointments, especially during transitions. 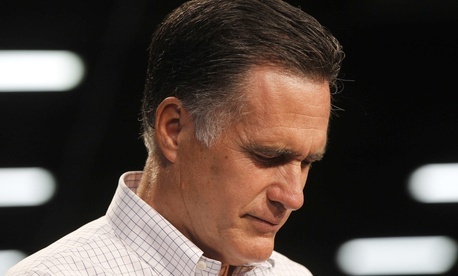 But it is an indication that Romney wasn't going to make management reform a centerpiece of his agenda. Next Post | Panetta Too Frank with Hollywood?